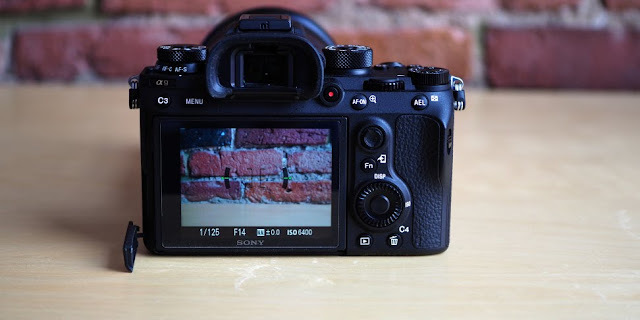 Home Camera Review Sony Sony Alpha A9 Review - The Best DSLR Camera?! Sony Alpha A9 Review - The Best DSLR Camera?! Sony's Alpha A9 is a new flagship mirrorless camera with a 24 Megapixel full-frame stacked CMOS sensor and fully electronic shutter featuring 20fps shooting, silent vibration-free operation, anti-distortion shutter, 1/32000 shutter, 4k video, dual SD slots, bigger battery, touchscreen and AF joystick. 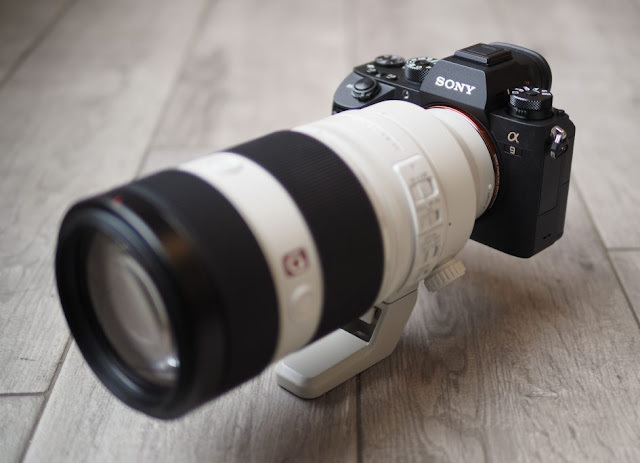 The Sony Alpha A9 employs a fully electronic shutter to allow fast, silent and vibration-free shooting, shutter speeds up to 1/32000, and electronic composition with no blackout. 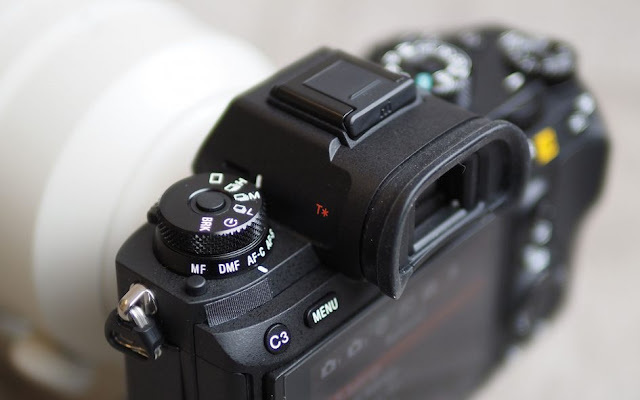 Meanwhile faster speeds allow the Alpha A9 to deploy an anti-distortion shutter which claims to eliminate rolling shutter artefacts which have previously plagued electronic shutters. 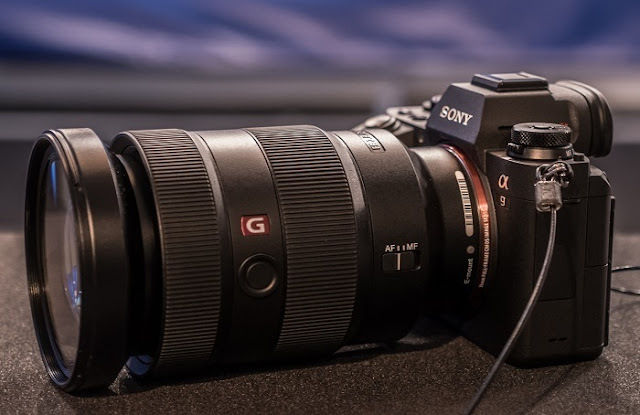 The embedded phase-detect AF system features 693 AF points spread across 93% of the frame, and operates at 60fps; Sony describes the AF speed as 25% faster than the A7r II. That's right, a mirrorless camera targeted at professional and sports photographers - a strike at the DSLR's area of greatest strength. 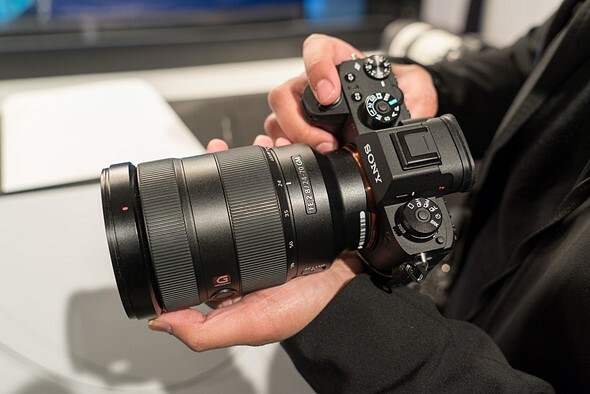 Olympus has pushed in this direction with its E-M1 Mark II, but Sony is promising both super-fast readout and full frame image quality, backed up with an expansion of its Pro Support scheme that will be needed to break into the pro market. This is ambitious stuff. All this capability stems from a stacked CMOS image sensor, which includes processing circuitry nearer the pixels and features built-in memory to deliver all this data to the off-board processors at a rate they can cope with. It's this structure that enables the camera to shoot at 20 frames per second and do so with an electronic shutter that's fast enough to minimize the rolling shutter effect. The fast readout also allows 60 AF/AE calculations per second, promising better subject tracking and prediction. For me though, the real excitement starts just underneath: a new joystick for positioning the AF area. 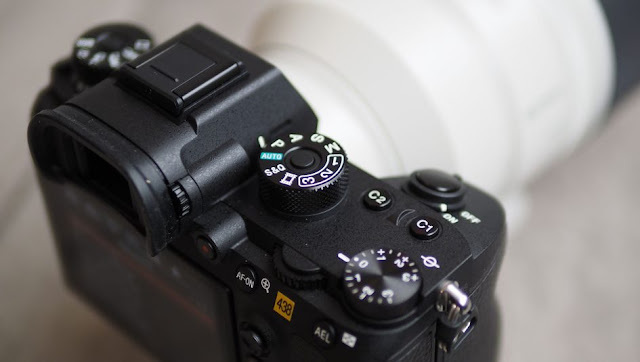 It’s not quite as pronounced as that on, say, the Fujifilm XT2, but I’m delighted to find it here as it makes positioning the AF area so much easier than clicking through the menus of previous models – and there’s more I’ll describe in a moment. Below this is a tilting thumb wheel, but it’s a new design that provides much better clickable feedback than before. No, it’s still not as nice as the more substantial wheels on the back of Canon’s larger EOS bodies, but it’s still a big improvement over the A7 bodies. Indeed the buttons all-round feel better than before, although I feel they could be even larger still and as always I’ll also put in a request for backlit buttons – something that should be standard on any higher-end body in my view. 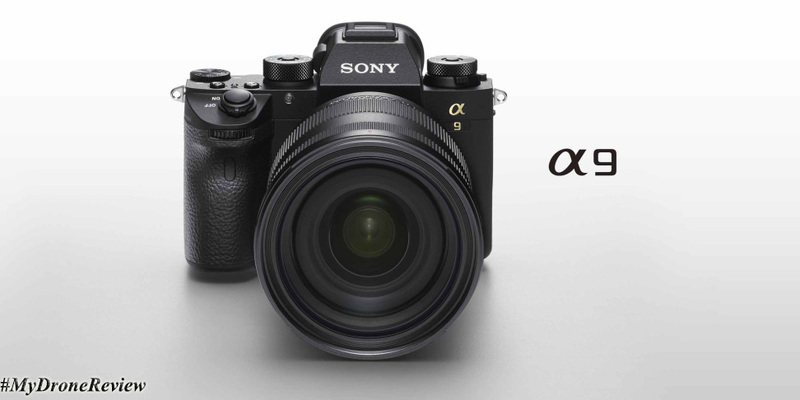 So, what exactly has changed with the Alpha A9? The buttons and dials all come with better haptic feedback1. The AF joystick replaces an eternity of clicks when moving the AF point. When you flip the screen out, the eye sensor is disabled, which resulted in fewer missed shots when working at odd angles. Boot-up time is shorter. Battery life is way better. The interface is more responsive. I don't get lost in the menus at all anymore. All of these changes add up to a camera that is more transparent, in the sense that it just 'gets out of the way' more than any previous Sony camera I've used, and lets me get on with taking pictures. Even if you don't use the full 20 fps (electronic shutter) burst speed, shooting anything you could want without any intrusive shutter noise (important for delicate moments during, say a wedding reception) without any blackout whatsoever is a revelation. 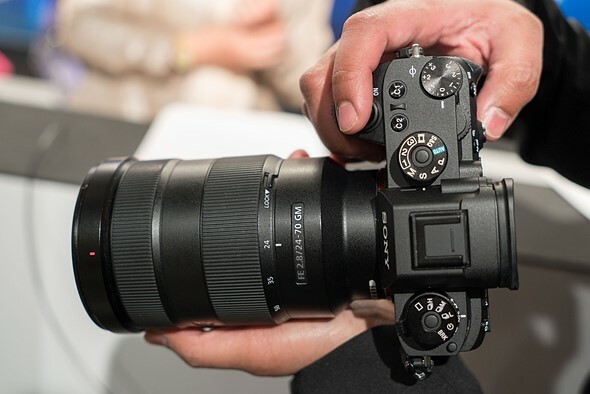 Sure, the RX100 V and Olympus E-M1 II both also offer fully electronic shutters and silent operation, but neither has a full-frame image sensor, neither can show you a live view during bursts (only slideshows of images being taken), and the a9 suppresses rolling shutter so ably that it's one more thing that I almost never have to worry about. I had a big hand in the reviews of Nikon's D5 and Canon's EOS-1D X Mark II, and while the optical viewfinder blackout on both of those cameras is incredibly short, I have to stress that the Sony a9 goes one step further in that it shows no blackout whatsoever. None. This camera makes it easier than ever to simply follow the action, and catch exactly the moment you want. An additional plus - this camera has taken the preliminary crown (review units are forthcoming) for the best mirrorless autofocus system I've ever used. We were given the opportunity to photograph hockey, figure skating and a full-on track meet, and the a9 rarely let me down. Watch our site next week, when we'll be able to post actual photos and videos from these events for you to examine for yourself. The Alpha a9's fast readout sensor has huge benefits for video shooting, as well as stills. It allows the a9 to capture UHD 4K video using the full width of its sensor, still with reduced rolling shutter. This means its 24p footage is made up from 6000 x 3376 pixels: oversampling the scene by 1.56x in each direction, for more detailed footage with less risk of moire. 30p footage is oversampled 1.26x in each direction, and comes with a 1.2x crop, but shows less rolling shutter. The camera also has the headphone and mic sockets, and option to fit an adapter for twin XLR mic input. Sony calls the video footage from the a9 the 'highest 4K movie image quality of any full-frame ILC', which makes it all the more odd that Sony has not included its Picture Profile system of video-targeted tone and color responses, such as S-Log2 and 3, and ITU 709. The A9 is unequivocally a professional camera, with a $4,500 price to match. It’s overkill for consumers, but that doesn’t mean they should dismiss it. The breakthrough technologies of the A9 could trickle down to the A7-series or even less expensive cameras.